For upcoming dates please get in contact with us. Cost Includes Registration Fee, Range Fee, All Books, and Handouts. Along with eye and ear protection provided. Classroom and range instruction provided by retired Tactical Officer and Certified OPOTC Firearms Instructor. 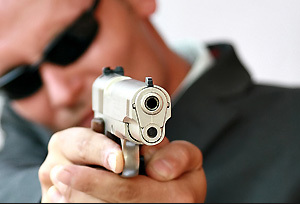 Whose experience includes being involved in multiple shooting incidents. Not just a standard Concealed weapons training class. 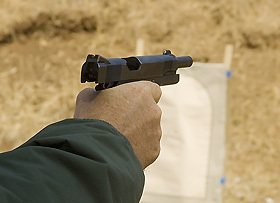 In this class you will learn the latest trends in handgun training along with additional topics which include. “Tactical considerations in a gun fight“, “the save your life drill”, which is a winning solution to a no win saturation of multiple armed attackers. You will also receive information on “the winning mind” how to prepare for a critical incident and what to do afterwards. You will also get information on what you need to know about how to navigate the legal system after being involved in a shooting incident. Classroom instruction is held at 7490 Bridgewater Rd. at the Fire And Explosion Consultants building (corner of Bridgewater Rd. and Taylorville Rd. in Huber Heights, Ohio 45424). This one day class is held from 12 noon to 8 pm on Sundays. Space is limited to 12 per class. The range instruction will be held at the Miami Valley Shooting Grounds at 7771 Johnson Station Road Vandalia, Ohio. 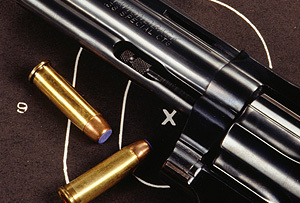 You will need to supply a firearm and 100 rounds of ammo for the firearm (firearms are available on a first come basis if needed without cost). Ammo can be purchased at the range on the day of the class if needed.